Neighbours: The Perfect Blend | You've Changed Your Tune! Neighbours' theme song is perhaps one of the most recognisable musical scores ever composed. 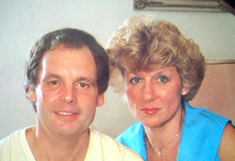 Tony Hatch who wrote the melody and his wife at the time - singer, Jackie Trent, who wrote the lyrics (pictured right) are still listed in the programme's production credits to this day - despite the four variations of their original composition that have topped and tailed Neighbours episodes since. In 1985, Hatch wrote the original version of "Neighbours" while Trent produced accompanying lyrics. Previously, Hatch had been responsible for composing the theme songs to Crossroads, Emmerdale Farm, The World at War, Sportsnight and M*A*S*H, among others. But, it's undoubtedly the "Neighbours music", as it is affectionately known, that has become his most famous composition. Version one of the theme song is now regarded by most people, viewers and non-viewers alike, as the "proper" Neighbours theme - i.e. suggesting that all versions since then have been inferior to it. This is, of course, a matter of personal opinion, but there's little doubt that the original rendition evokes true golden memories of "classic Neighbours". 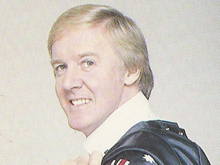 British fans, for example, who have been watching the show since its early days will recall the dramatic climax of an episode, perhaps involving a perm-haired Kylie Minogue, quickly cutting into the gentle, yet hauntingly anonymous strains of Barry Crocker's voice and the monotonous "B-D-A" and "B-D-G" piano chords. A short, melodic interlude was adopted between both versus of # Neighbours, should be there... # and this has remained the standard format for the two full-TV versions of closing theme that have followed. BBC Television, broadcasting Neighbours in the UK had decided that their policy of keeping closing credits' lengths relative to each particular programmes' length would now be adopted on Neighbours broadcasts. Thus, early in 1995, the BBC asked for specially edited closing credits to be sent from Grundy's in Australia, complete with shortened theme song to accompany. Grundy's sent over their new opening theme developed for Australian broadcasts a few months previously, albeit with the familiar finale bar added on, which traditionally accompanied the Grundy spinning-diamond device on Neighbours episodes. Husband and wife team Paul Norton and Wendy Stapleton (soon to appear in Neighbours as Nina Tucker's mother, Trixie) provided the vocals - although poor Wendy could barely be heard under the loud strains of her husband. In truth, version four mirrors version two in that an attempt to modernize the original version of a particular theme didn't pay off. And, just as the 1989 theme was replaced in 1992 with an all new version; a similar happening occurred in 2002 with the 1999 rendition. This time, third party involvement has ensured the success of this, the current theme. Steve Wade, best known as a member of famous Aussie group, The Little River Band, oversaw the overall arrangement, which differs little from the previous two, while Melbournian singer, Janine Maunder, provides a female lead voice for the first time ever. Lyrics remain unchanged on both opening and closing songs, with the main change being the adoption of a repetitive chord set-up for the first time since versions one and two of the theme, providing a definite undertone for the entire song, and allowing such climaxes as "...find the perfect blend..." to adopt the more traditional three note strain before breaking into "Neighbours, should be there...". BBC transimissions have continued to use an edited version of the closing song, still omitting the familiar "Neighbours, should be there for another" lyrics which many consider to be an integral part of the theme. But, it's fair to say that the current song has been very well received. It succeeds, largely because it's managed to adopt so many characteristics of the original theme song, but being a brand new song in its own right, using many elements apparent in modern and popular music, which appeals to a wide cross-section of the viewing audience. Interestingly, the current opening titles' sequence was produced to specifically work in harmony with the current opening theme, in that the shots used change depending on the beat and point in the music, and not depending on their content - i.e. Nina's foot and the Ramsay Street sign get twice the air-time in the sequence that characters such as Lou and Karl do. So what's next for this, the most famous of television theme songs? The music has at several times been voted the most recognized television theme of all time by many an internet poll, which only further justifies its undoubted popularity. These days, its lyrics are regarded with affection, as opposed to being considered realistic or contemporary. Though, it's quite comical to note that a leading MP used the Neighbours lyrics as the basis for a talk he gave in Parliament regarding anti-social behaviour, some years ago. It's also well known that hospitals have used the Neighbours theme on many occasions to soothe babies in the womb, and further used it post-birth as a reminder to the little one of a time when it was safe and secure! It's doubtful the theme song would have retained its nostalgic and almost retro qualities had the lyrics or melody been altered significantly at any point in its history. 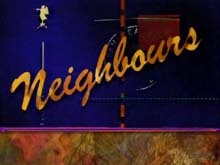 In 1996, rumours circulated that the theme song had been revised to accommodate a new Neighbours catchphrase - "I Love My Neighbours" - supposedly part of the bid to revamp the show in 1995-1996. Thankfully, the change never occurred, and two versions later, the theme song still retains lyrics originally written by Jackie Trent, and there's no doubting the melody is still "Neighbours"! As Chris Pettifer himself explains, there's very little alteration one can make to the melody without the song being significantly different. As it stands, it's fair to say that two versions of it have now been used. 'Melody one' can be applied to versions one and two of the theme; while versions three, four and five have used a near identical melody, which we'll call 'melody two'. Perhaps, in a few years' time, 'melody three' may be created, if it's at all possible to squeeze another one out of the Neighbours tune! Or, we may see a return to the original melody for a new rendition of the original song. One thing remains certain, however. Neighbours' theme tune could never be anything but the familiar Neighbours song we've grown to love since 1985. And, fortunately, it seems Chris Pettifer and the powers that be have the same opinion, too! You can download audio clips of the theme tunes mentioned in both Real Player and MP3 format in our Multimedia section. 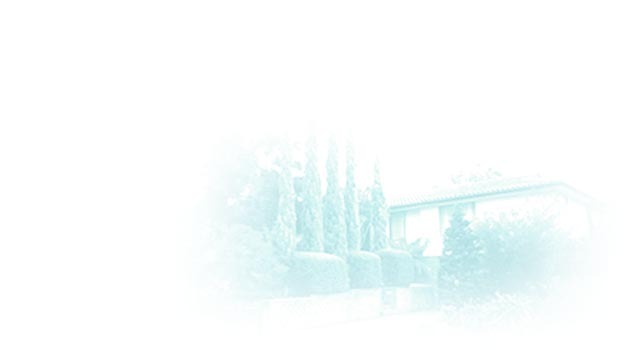 There is a guide to some of the music used on the show in our Sounds Of Erinsborough section.